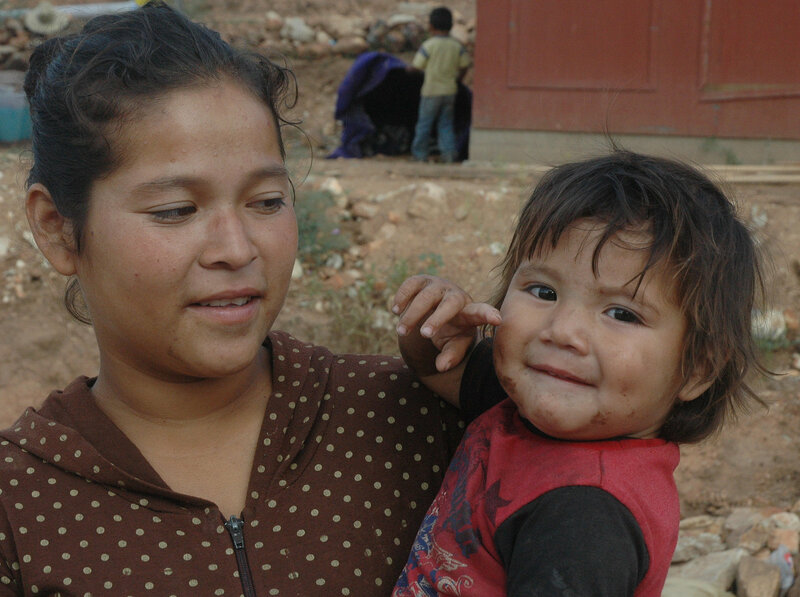 Picture a mom living on the outskirts of Tijuana, Mexico, one of the poorest regions in Latin America. She has no running water or electricity in her home. But in many ways, she is no different than a mom just four miles across the border in San Diego, home to wealthy communities with manicured lawns and trendy restaurants. Both mothers try to keep their kids healthy and safe. Both would go to extremes to protect them. Still, many in the developing world must tackle motherhood in the face of unimaginable challenges that some parents across the border are protected from — challenges such as poverty, hunger, and disease. 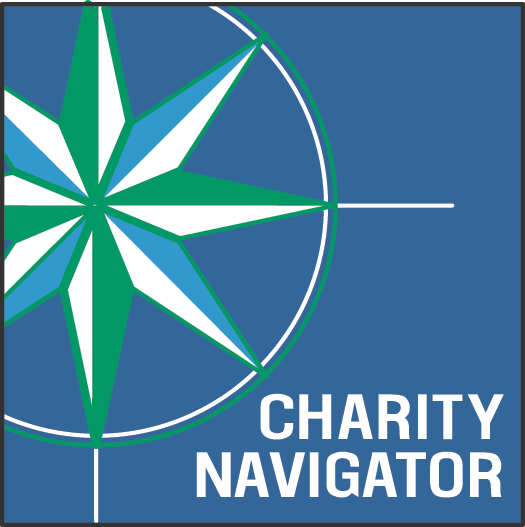 I've seen this in my work as communications manager for International Relief Teams, a nonprofit organization that provides health services and medical supplies to survivors of disaster and poverty around the world. Since 1988, IRT has deployed over 6,000 volunteers and delivered over $308 million in medical support to millions of people in 68 countries. 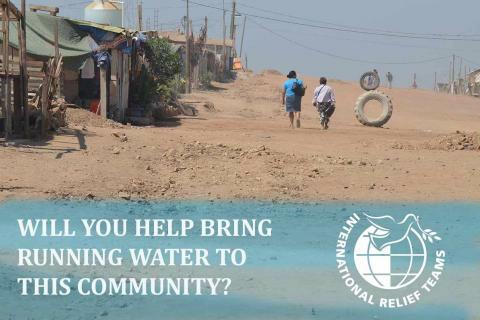 IRT is based in San Diego, and one of our current efforts is serving people who live a few miles away in a new Tijuana settlement called Fuentes del Valle. Fuentes del Valle is an informal community that rises up out of the desert near Tijuana, a fast-growing city in Mexico with a population of two million people. This settlement of 150 families is populated by migrants, most from central Mexico, searching for better opportunities. 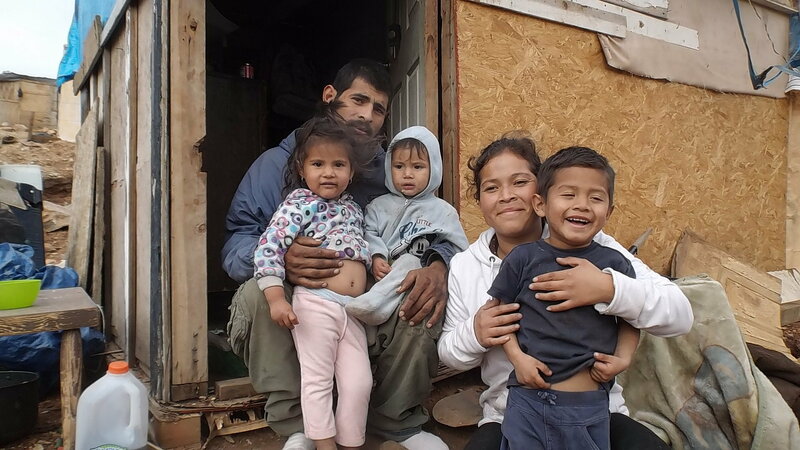 The cost of living, land payments, school expenses, and low wages often leaves these families with insufficient funds to build houses. As a result, Fuentes del Valle has become a sea of rudimentary shelters built from scrap materials. Ana and her husband Jesus live in Fuentes del Valle. They are a young couple with three children under the age of five. They have no electricity, running water, or sewer lines. 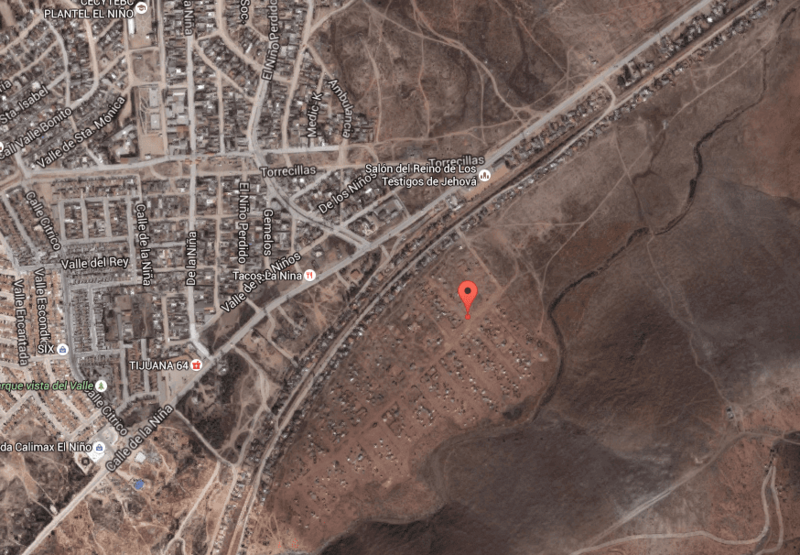 No schools, medical services, or social facilities. 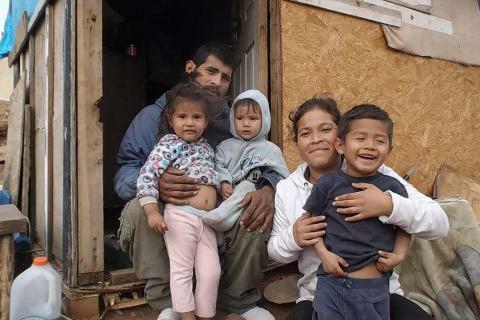 For Ana and Jesus, home is an 11 x 7.5 shack with dirt floors. They prop up mattresses and personal belongings when it rains to keep everything dry. That's because the roof, made from a tarp, leaks when it rains. 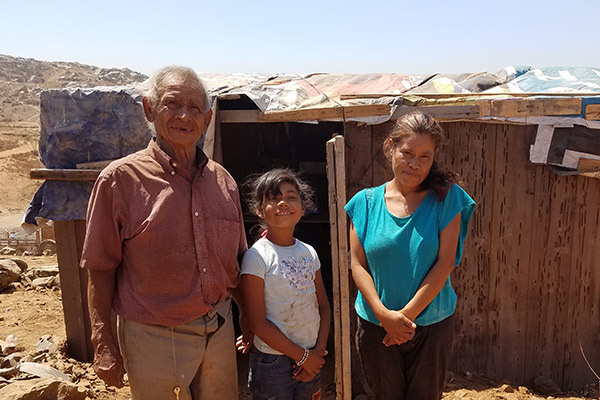 The family does not actually sleep in this structure; instead they sleep in Ana's mother's vacant shack next door — not much bigger but with a sturdy roof. Anna and her family are our neighbors; neighbors facing struggles many of us can't imagine. 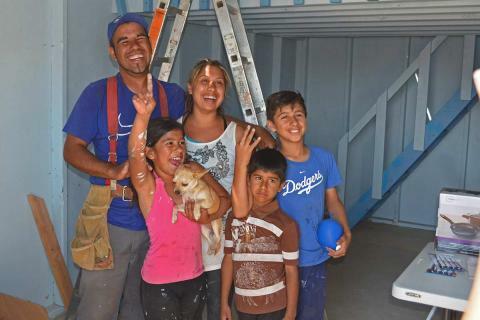 While it is trendy for some families in the US to now live off the grid without luxuries such as running water to give their children authentic experiences away from the noise of technology, living in Fuentes was not a choice for Ana. It was her only option. 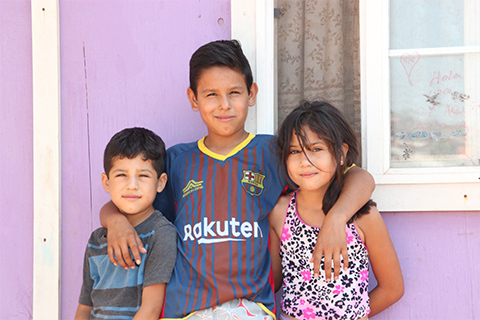 Ana was pregnant with her son Jesus Adrian when she moved to the neighborhood from another part of Tijuana a little over a year ago with her two older children. Ana said her children often get sick and she hoped she would find a new home in Fuentes del Valle that would help improve their poor health. 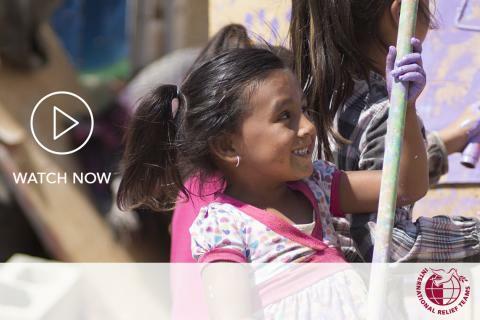 This is a real concern: in Mexico, approximately 14.5 children out of every 1,000 die before their fifth birthdays, according to a 2015 report from Save the Children(link is external). In the US, that number is 6.9 for every 1,000 children. 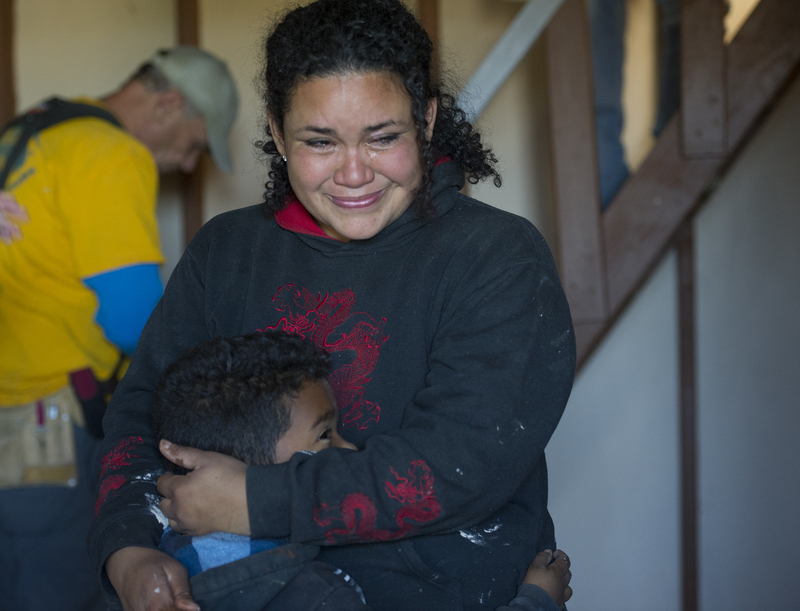 In April, IRT collaborated with Project Mercy to build a house in Fuentes del Valle that would go to a family. 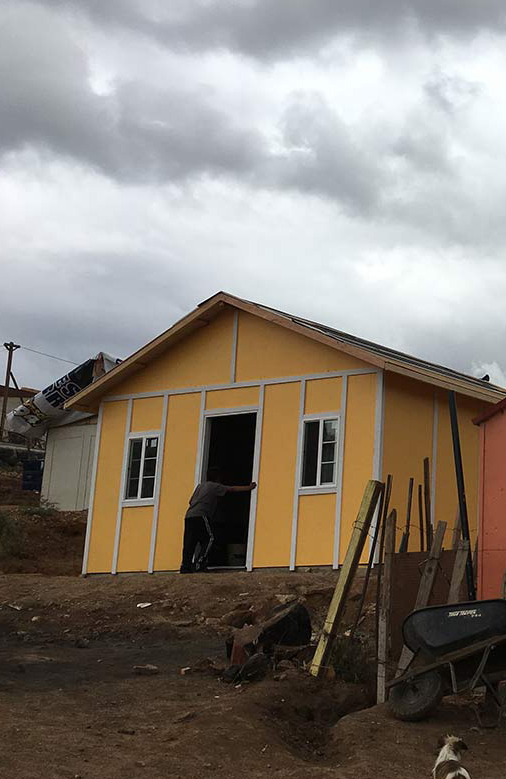 Twenty-five volunteers built a home — a 16 x 20 single-story house with an outhouse — in just one day. The people of Fuentes del Valle decided amongst themselves that Ana's young family should be the one to receive the home. 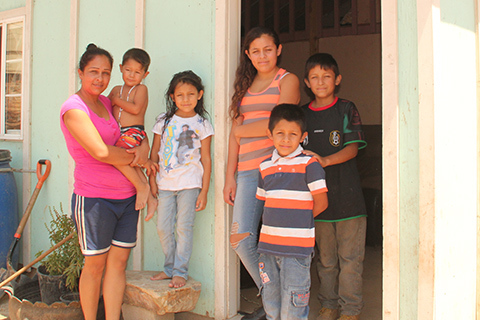 Right after moving in, Ana said she was grateful her children would be safe for the first night in over a year. 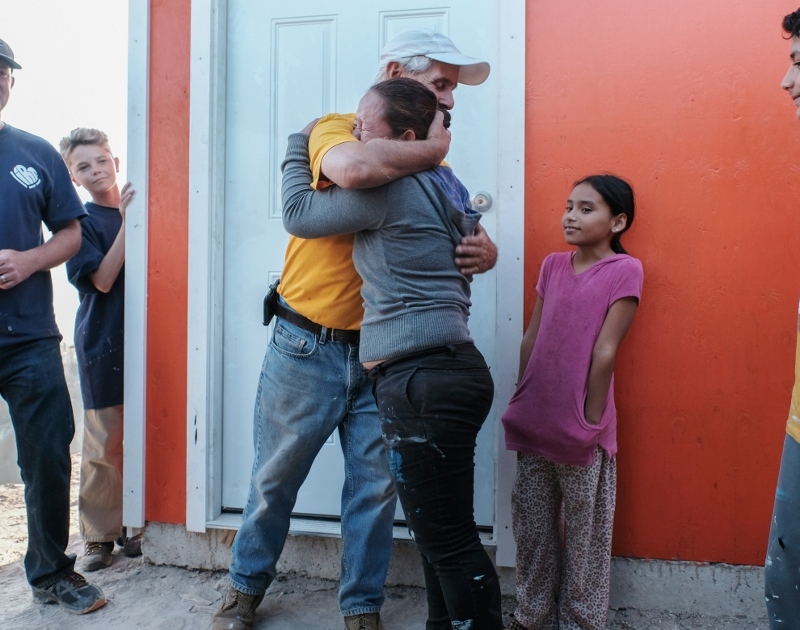 Their new home was the first step to giving her kids a brighter future. 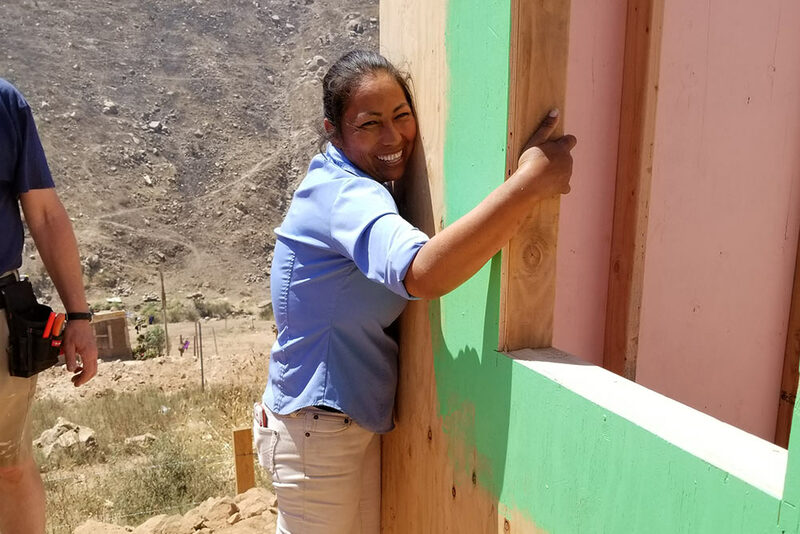 IRT will continue to build homes in Fuentes del Valle for deserving families; we have several more builds planned this year, and we are bringing basic house furnishings and food to the wonderful people of this community. Ana's story of heartache and opportunity is just one we've had the privilege to be a part of; there are so many more like her.